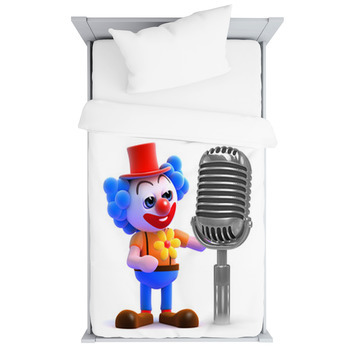 Is your little ones bedroom screaming for a clown theme, but you cannot find just the right clown baby bedding to pull the entire look together? This is a problem with non-traditional themes, but there are options and one of them will help you to create a one of a kind, custom crib bedding set that no other parent in the world will have. 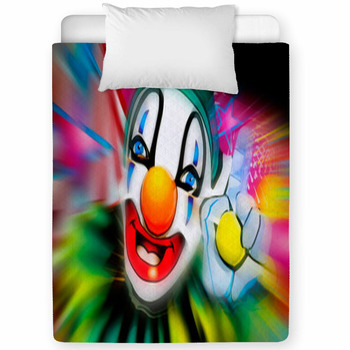 All it takes is choosing a clown design from our gallery and choosing your product from clown comforters, to toddler duvet covers. Choosing the right design for a special baby's bed is an important decision. The design must fit properly into the decor of the room and must also provide for a fun and colorful experience for the baby as well. 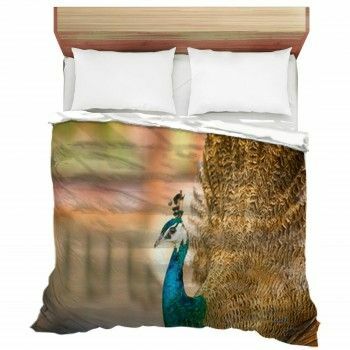 A custom bedding design from VisionBedding. 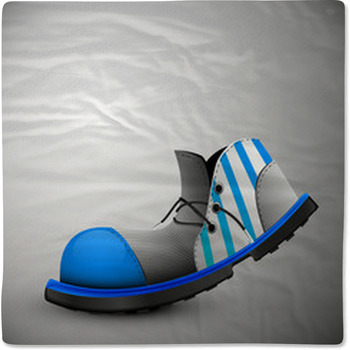 com makes for a great choice being both colorful and fun and with so many designs available finding the right choice is simple. Custom text can also be added to personalize the design truly making it a one of a kind baby blanket or comforter. 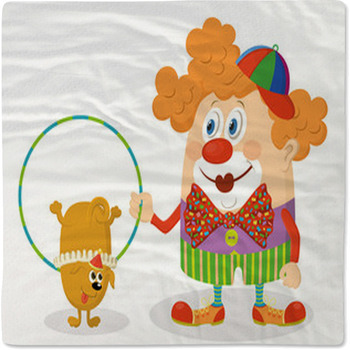 Clowns come in an amazing variety of forms and colors and fill almost every role there is in the circus. In fact, a circus would never be complete without an entire entourage of clowns. 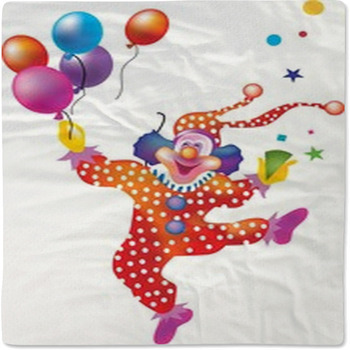 A wildly colored clown dancing around in a polka dot suit and hands full of balloons is the classic image of a circus clown and can bring great joy to any boy or girl's room. While two clowns on balloon delivery duty in their speedy motorcycle not only add a fun feeling to a room but bring a bit of excitement as well. 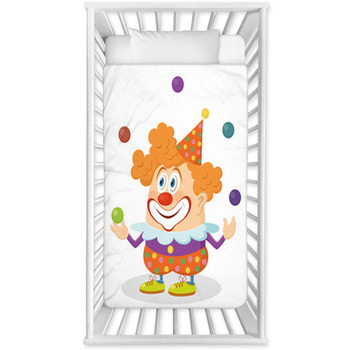 From purple and pink to orange and yellow there is sure to be a circus clown colored just the right way to fit any babies new room just right. 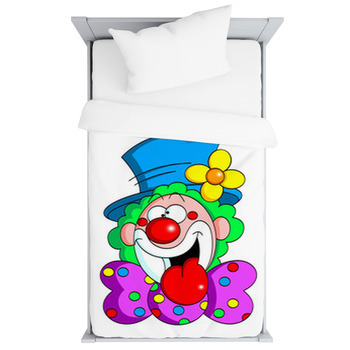 Cartoon clown characters remain just as popular and just as entertaining as any circus clown. 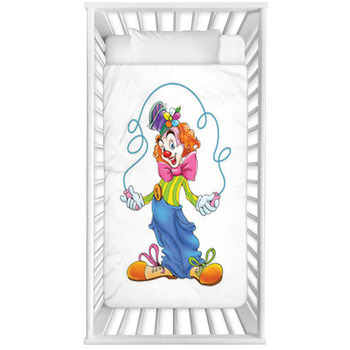 A multi colored juggling cartoon clown that is obviously as happy as can be creates a fun filled circus atmosphere perfectly suited for a clown decorated boy or girl's room. 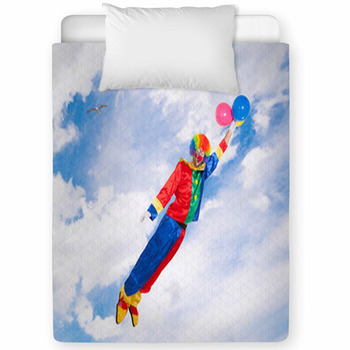 Or for a more toned down look that is not so bright, a blue suited and happy faced clown amongst a starry background for your child's blanket and a wall art of a flying clown holding a couple of balloons are sure to make a statement without over doing the colors. 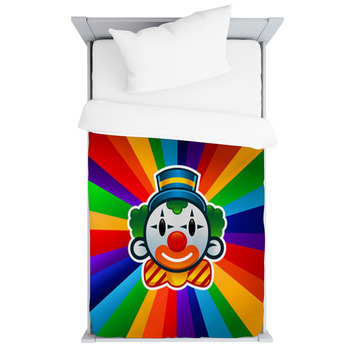 Very few events can match the joyful experience of a children's circus making clown baby bedding a unique and inspiring choice for any new infant's room.